Needless to say it is an absolutely gorgeous book and I love it already! I have officially decided to love the era more than hate it right now. Late Elizabethan Nobles still scare me and some of the fashions are a bit particular to my tastes. Anyway! It makes the Damsel Dress so much easier! 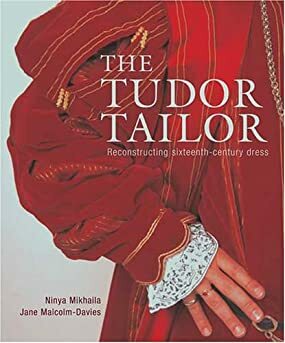 As well as the Tudor Sew-A-Long I am plotting for the summer. But I digress. Oh and there will be pics of the Regency servant attire soon. It's almost done and hands down one of the easiest historical outfits I've done! And probably the fastest!